By 2025, half of the world’s population will be living in water-stressed areas. Already, more than 663 million people in the world live without clean water. And drought is a major challenge in geographies ranging from Northern California, which is facing its worst drought in 1,200 years; to east Africa, where a devastating drought has led to crop failures affecting an estimated 23 million people. To address challenges at this scale, we need creative solutions—both to raise awareness for these issues, and create new interventions to meet local needs. So this World Water Day, we want to highlight a handful of organizations who are using technologies—like virtual reality, data analysis, and mapping—to make a difference. The nonprofit organization charity:water uses the power of crowd-fundraising to build wells in communities with limited access to clean water. Since 2006, they’ve funded more than 19,000 water projects in 24 countries that will serve more than 6 million people. Three years ago, Google.org gave charity:water a US$5 million grant to build well sensors that notify local mechanics of the need for repair—helping ensure ongoing access to clean water and creating new local jobs. Today, charity:water is releasing The Source on YouTube 360, a virtual reality film that documents the before-and-after impact of one of these well projects in Ethiopia. 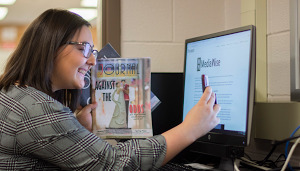 To view the video in 360, press play and use the arrows on the cursor in the upper left-hand corner to look up, down, right and left. The Freshwater Trust scientist guides the Trekker-mounted kayak down the Russian River, capturing 360-degree imagery as he floats. Photo Credit: Brian Kelley of The Freshwater Trust. With California in its worst drought in recorded history, the need to understand and manage the state’s rivers, lakes, and watersheds is acute. 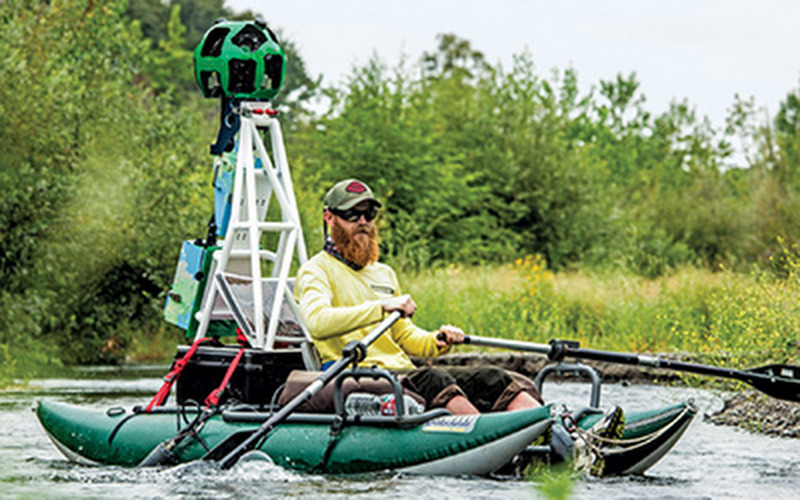 Environmental organizations like the Nature Conservancy, California and the Freshwater Trust have borrowed the Street View Trekker—used as a backpack and mounted on a kayak—to capture 360-degree imagery. These images are useful in many ways; for The Nature Conservancy, the data will provide baseline imagery to compare forest growth and regrowth over time. The Freshwater Trust is using the imagery to validate their scientific models of the river, and prioritize areas for restoration, such as planting of native plant species along the banks. For non-scientists, it’s easy to click through on Street View to take in these natural watershed wonders, firsthand. Check out Independence Lake Preserve and the Russian River for yourself! When it comes to water contamination in rural areas, collecting reliable data is often one of the biggest challenges. 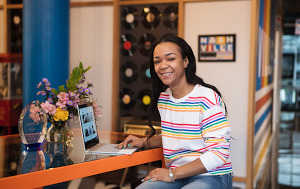 In 2014, a nonprofit called Associacao O Eco won the Google Impact Challenge: Brazil with a proposal for a data-collection project called InfoAmazonia. The project will deploy a network of sensors that send a text message to local citizens and officials if contamination is detected. In the next phase of the project, the organization plans to create an open-source toolkit and citizen-led initiative that enables local people to install these sensors, understand their own data, and advocate for a cleaner water supply. 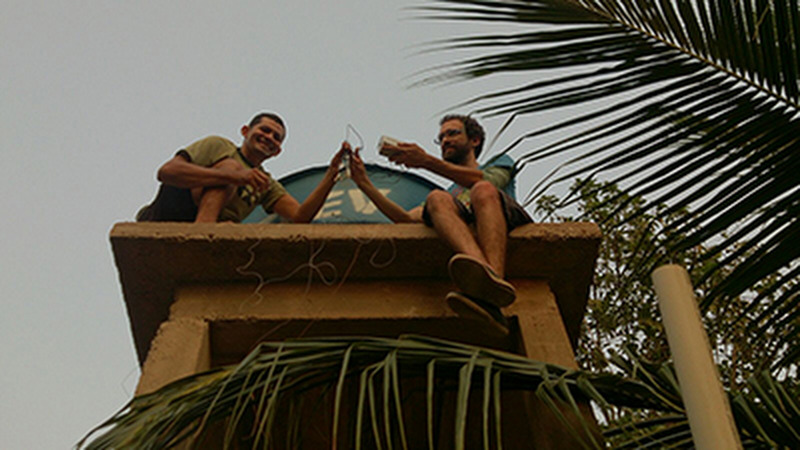 Two members of the InfoAmazonia team install the Mãe d´água sensor in one of the communities in Santarém, Pará, Brazil. Between 2011-2012, Africa endured its worst drought in 50 years. Without water, crop failures have lead to malnourishment and displacement across the region. To help with the relief efforts, we gave a grant to the Regional Centre for Mapping of Resources for Development (RCMRD) for satellite imaging technologies to assess crop availability, monitor water quality in Lakes Victoria and Malawi, and provide data for an early warning system for floods and fires. The near real-time data capture has helped local officials make informed decisions about managing water resources, and addressing food security in the region. 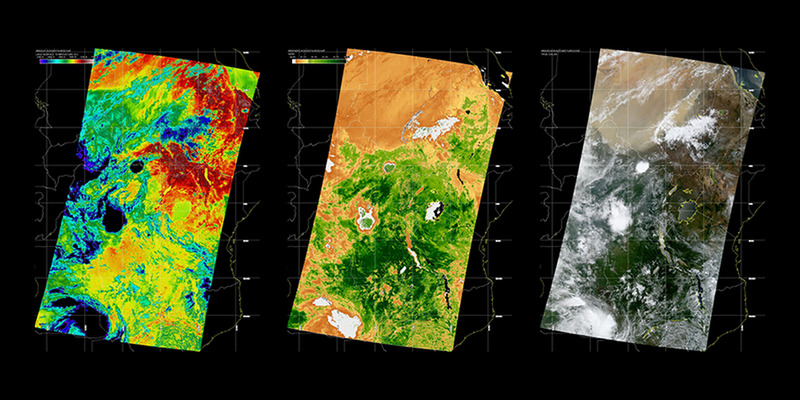 Examples of data and imagery collected through the satellite system. This year, water nonprofit Drop4Drop is asking people to complete the sentence “W is for…” in order to raise awareness for the global clean water crisis. To us, “W is for... Water organizations using tech to make an impact.” The solutions to the world’s water challenges are complex, and some will take years to achieve. These organizations are applying technology to these challenges in new and unique ways, and we’re glad to play a small part. We encourage you to write your own “W is for…” post and use the hashtag #W4Water to join the conversation on social media.